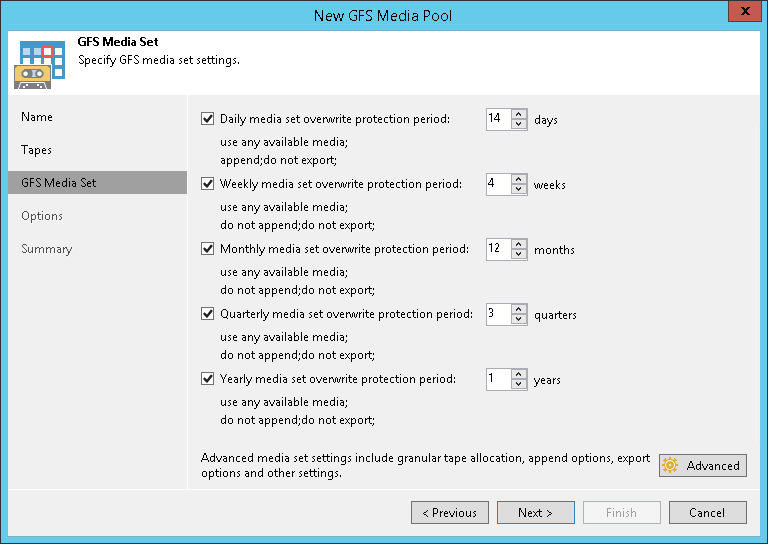 In the GFS media pool, a separate media set is created for each backup cycle: daily, weekly, monthly, quarterly and yearly. For each media set, you can set the data retention period. The retention period indicates for how long the data is protected from overwriting. Click Advanced to configure the advanced media set options.